Working fun grandfather and grandson on the construction site. Grandfather teaches his grandson the baby to hammer nails. Family concept. 4k00:18Working fun grandfather and grandson on the construction site. 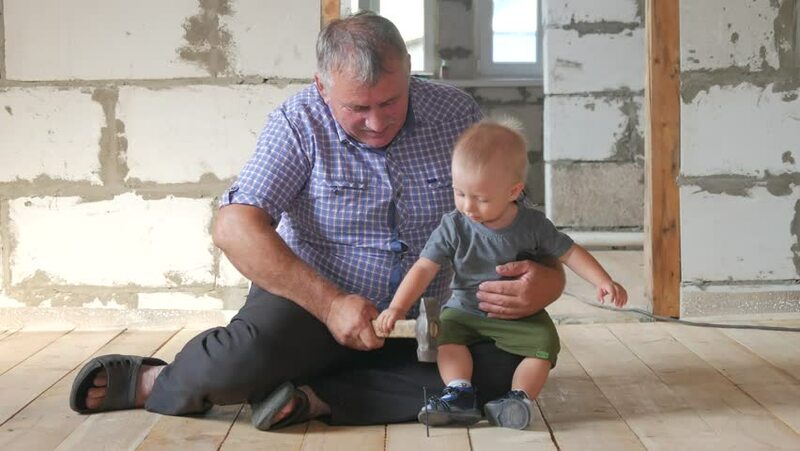 Grandfather teaches his grandson the baby to hammer nails. Family concept.